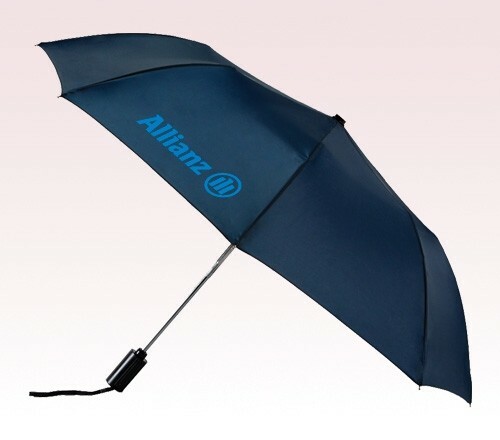 Personalized navy blue 43” arc mist umbrellas make a very favorable choice for marketers who are toying with marine colored brand themes. The navy blue color theme is considered cool and it is largely employed for goodwill building because everyone loves it. This umbrella is sought as a fashion accessory during regular days and on marine themed weddings. People carrying this umbrella are easily noticed amongst crowd. Features – 43” arc navy blue nylon fabric, auto open/auto close function, and steel windproof frame. Dimensions: 43" arc - Folded Length 15". Imprint area - 7"W x 6.5"H.